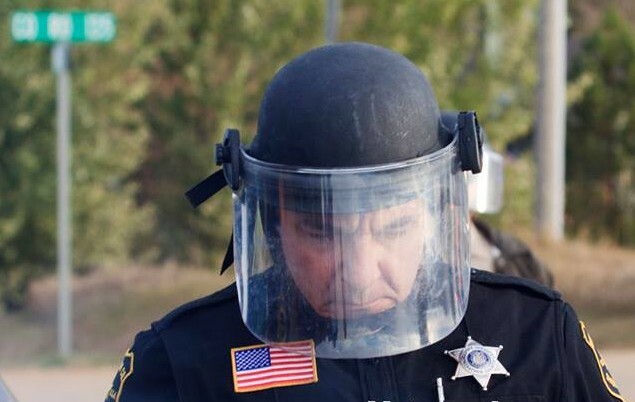 Section ii – Video and photographic evidence from my arrest on Oct 15th, including how my rights were violated | What Really Happened at Standing Rock? Click any of the photos throughout this webpage to enlarge. 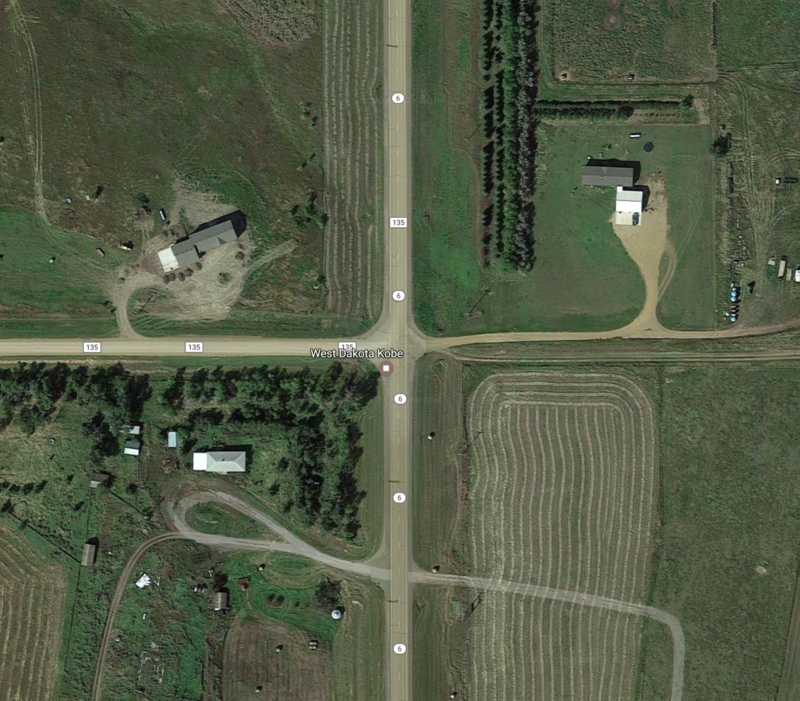 “Earlier in the day, 10 people were arrested after allegedly congregating in the middle of Highway 6 near an active construction site and refusing to leave, according to Keller. Keller said the caravan was stopped by police at the intersection of the highway and County Road 135 around 9 a.m., about two miles south of where crews are actively running pipe — the same place a large protest took place Monday. Below includes evidence which proves that everyone arrested on October 15th was under false pretenses. Note: All evidence indicated by the term “Discovery“ was given to Ms. Wilson by The State Attorney’s Office on Friday, 5-5-2017 by employee Shannon Eagon in response to her Request for Discovery. Ms. Wilson was sent a “STATE’S DISCOVERY RESPONSE and REQUEST and NOTICE OF INTENT (N.D.R.Evid. 707); the notice was sent to her at 141 Lansdale Ave., Fairfax California on 3-21-2017. PDF of report: (10-15-16) MCSO CFS # MT-16-5560 No Case #. Video shows line of vehicles driving northbound on Highway 6. 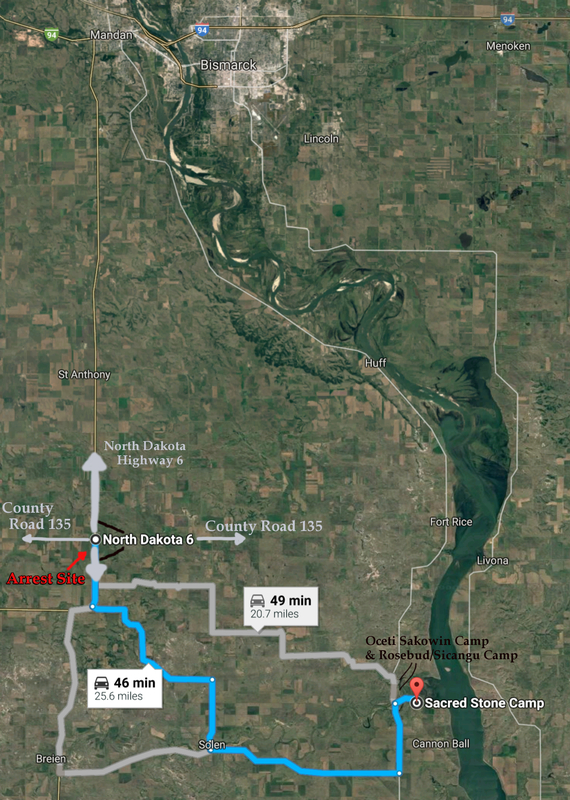 Several North Dakota & local government officials are blocking the right-of-way, which causes civilians to pull over to the side of the road. Video by John Wathen shows civilians now out of their vehicles in front of the officers who are blocking the road, pleaing to them let them move north. Traditional singing & drumming heard in background. Singing & drumming in background. Officers forming a straight line while one places orange cones on the ground. Traditional songs & drumming heard in background. Traditional singing & drumming heard in background. An officer reaches toward one of the civilians. Officers standing in line blocking road. One Sheriff’s Deputy with black ski mask films the scene. Officers lined up blocking Highway 6 at the intersection of County Road 135. Traditional prayer songs & drums play in background. Video #8 ( video below) evidences that Alex “Distance” Wilson attempted to perform a Citizen’s Arrest. Officers ignore her. Part 2 from above video, about a minute later: Militarized police continue blocking the road. The citizen’s arrest is announced again to other officers. Request for badge numbers is ignored. 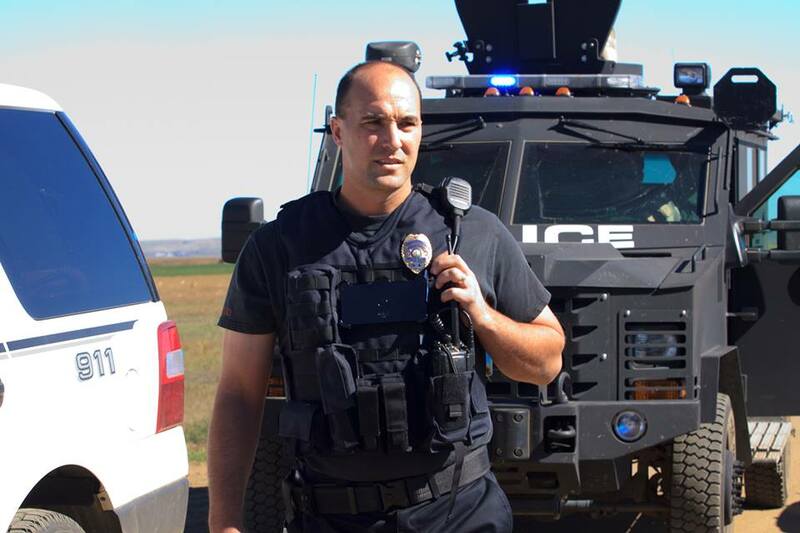 “I witnessed the violation of 1st Amendment rights of around 50 people on Hwy 6 Morton Co SD. We gathered where police were obstructing a public highway. We were stopped before any crime or action had occurred. They blocked the road and told us we were obstructing a public roadway so we moved into the grass where several people were arrested AFTER complying with the order to get out of the road. Further video of the impasse, as a small number of Protector’s stand in peace and prayer. Leaders tell Protector’s to step off the road. Police continue standing in the road. Dispersal warning is given although the road is no longer blocked by Protectors. People who are not in the road are illegally arrested. Protectors are no longer in the road and are being warned to disperse, although they are not violating the law. Police continue blocking the public road. More illegal arrests are made. Above photo uploaded by “Morton County North Dakota on Jan 20, 2017- from video: “Lt. 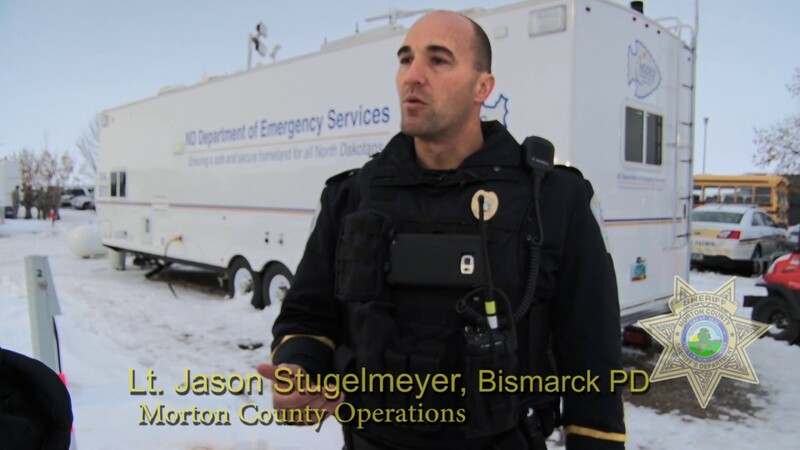 Jason Stugelmeyer explains why officers working the DAPL Protest wear protective gear to shield themselves from violent outbreaks from protesters“.